The Ladies Society is the umbrella organization which coordinates all the women's groups. The entire society meets annually in December. Each woman of the congregation is assigned to a circle. If you have a time preference, you may join any circle that is convenient for you. The Ladies Society is a member of the International Lutheran Women's Missionary League. 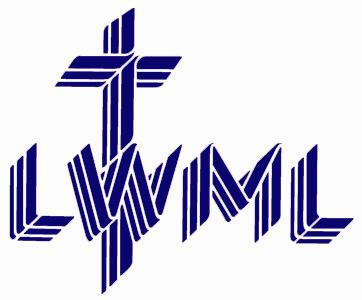 They promote the work of the LWML by supporting missions with their mites. The Mission of the Lutheran Women's Missionary League is to assist each woman of the Lutheran Church-Missouri Synod in affirming her relationship with the Triune God so that she is enabled to use her gifts in ministry to the people of the world. Hannah Circle - meets the first Tuesday of each month at 9:30 a.m. at the church. Martha Circle - meets the first Tuesday of each month at 1:00 p.m. usually at the church. Ruth Circle - meets the first Tuesday of each month at 7:00 p.m. in a home or at the church.